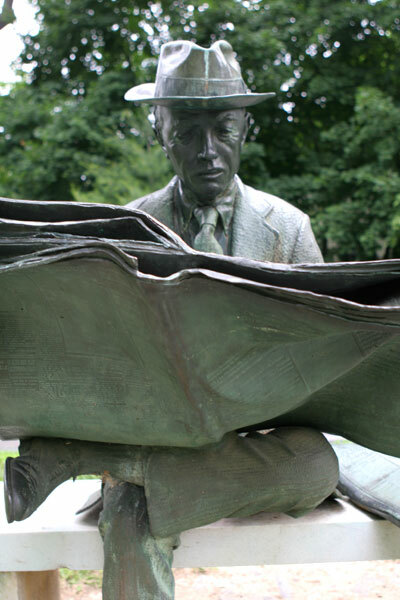 The Newspaper Reader, 1975, by sculptor J. Seward Johnson, Jr. 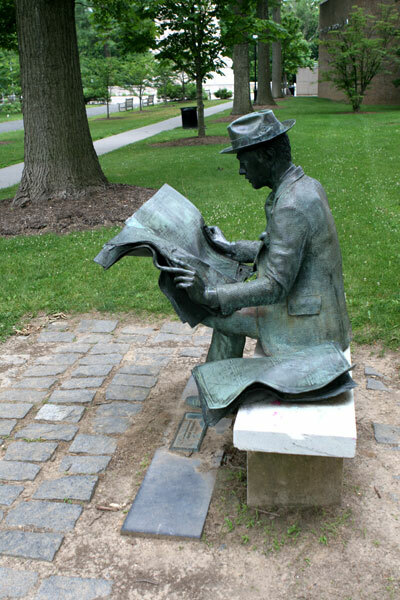 The bronze man reads The New York Times on a park bench among the trees (the things they made newspaper out of before all you kids started reading news only on the web) in Princeton’s Borough Park. 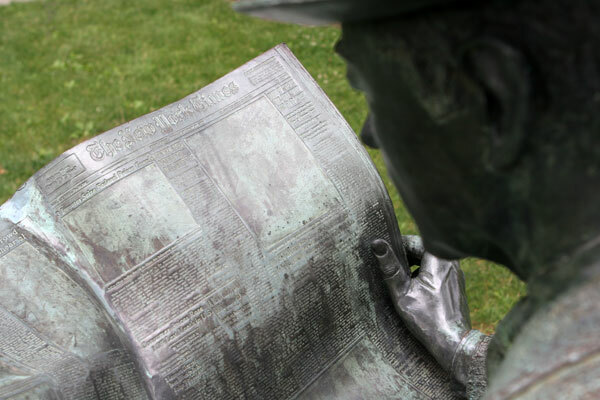 This is one of several casts of the sculpture, some of which are reading other newspapers. Upstart II, 1970, by Clement Meadmore. The Cor-Ten steel sculpture appears to defy gravity as it juts into the air. 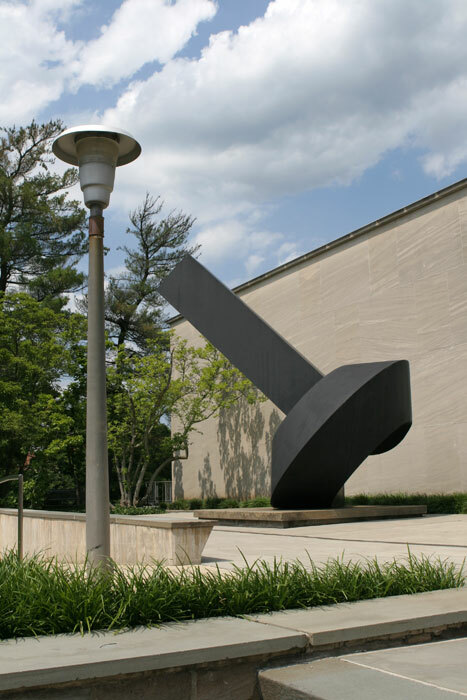 A description of this work in the literature for the Putnam collection of sculpture on the Princeton University campus (which includes works by Picasso and Henry Moore) says “Meadmore sees this sculpture as that of a person who inhabits a place.” But its angle of aspect and appearance of being in a, um, discernibly turgid state (scroll to the bottom of this Harper’s Index to learn why that means a $2000 fine in Mississippi), have drawn criticism from feminists. Did you check to see if this is solid metal or is it a hollow composit? The sculpture appears to be hollow, not solid.